Rory is a front end developer from Somerset in the UK. He is most interested in building beautiful, practical and accessible user interfaces using React. He lives in Leeds with his partner Vel, who is also a web developer. In this course, we are going to learn about the CSS Grid Layout. 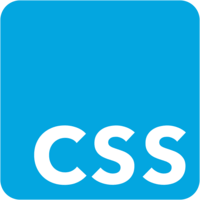 The Grid Layout is a feature in CSS available in modern browsers. CSS Grid layout is a two-dimensional layout method that gives you control over items in rows as well as columns. In this course we will look at multiple ways to divide the page into major regions with control of the size, position, and layer. We’ll discuss all the features CSS Grid has to offer us, and how we can apply these features to real world layout-based obstacles. We’ll start with placing items on a grid by using grid-column and grid-row and progress to more complex topics such as nesting grids within grids.